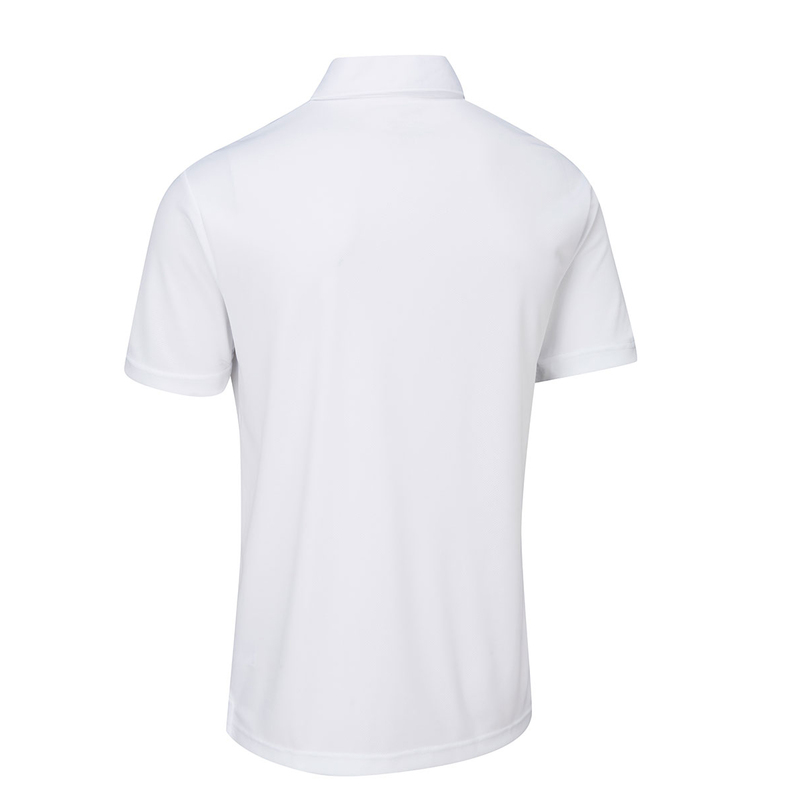 Play golf in total comfort with this high performing short sleeve golf shirt, with Stuburt’s renowned DRI-back moisture transfer technology. 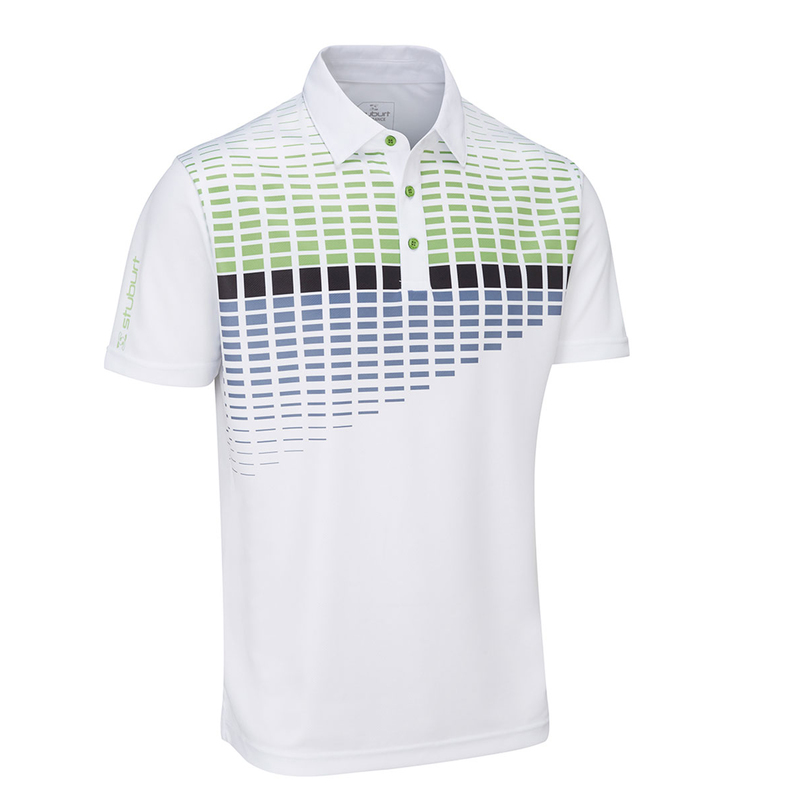 The shirt provides high levels of breathability and is moisture wicking to keep you dry and more focused as you play golf. Made from 100% polyester which is stretchy, plus helps to regulate body temperature for increased comfort during your round of golf. 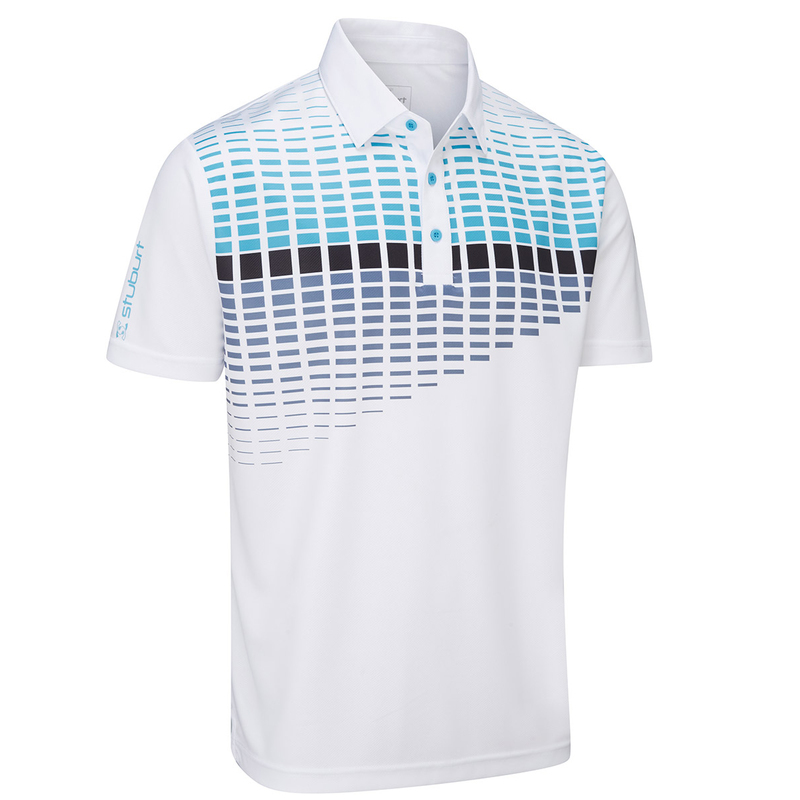 The design features a colour box graphic on the front, with fold over collar and a classic 3-button placket, and the Stuburt printed logo on the right sleeve.